This fabric by Ink and arrow is a MUST HAVE. 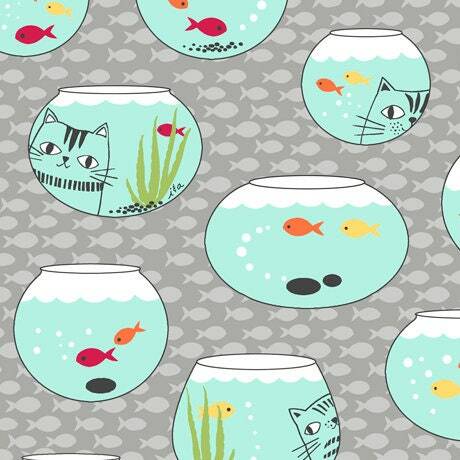 This fabric has cute fish bowls with curious cats on it. The fabric is sold by the yard.